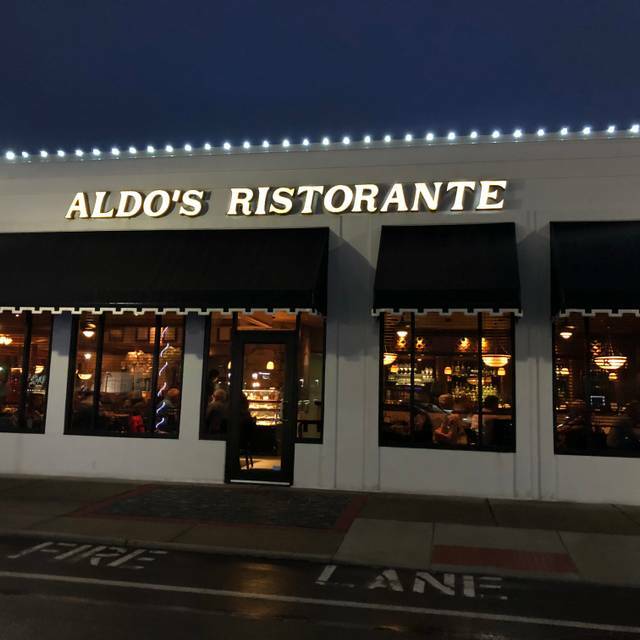 You must make reservations at least 5 minutes in advance of the time at Aldo's Ristorante. Aldo's Ristorante is located in La Promenade Shopping Center. We have plenty of available parking right at our front door. We offer a wonderful piano player every Friday and Saturday evening. We offer private dining for special events like baby showers, bridal showers, rehearsal dinners, holiday parties, work functions and more. We offer a rehearsal dinner menu for your catering needs. Available on our website. 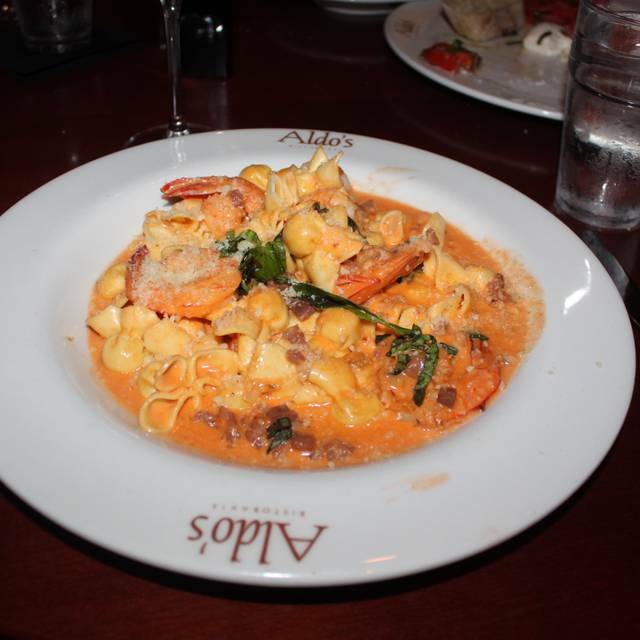 Since 1988, Aldo's Ristorante is an Italian fine dining restaurant & wine bar located in Virginia Beach, Virginia. Aldo's award winning wine bar & wine list has been thriving for over 30 years, receiving accolades from wine spectator and wine enthusiasts magazines. Offering locally sourced seafood and produce daily. We feature delicious food (some gluten free), wonderful wines, superb service and excellent value! Just like it sounds. Wonderful! Fresh broccoli, olive oil, sliced cherry peppers, fresh garlic and if you like crushed red peppers, ask for it hot! 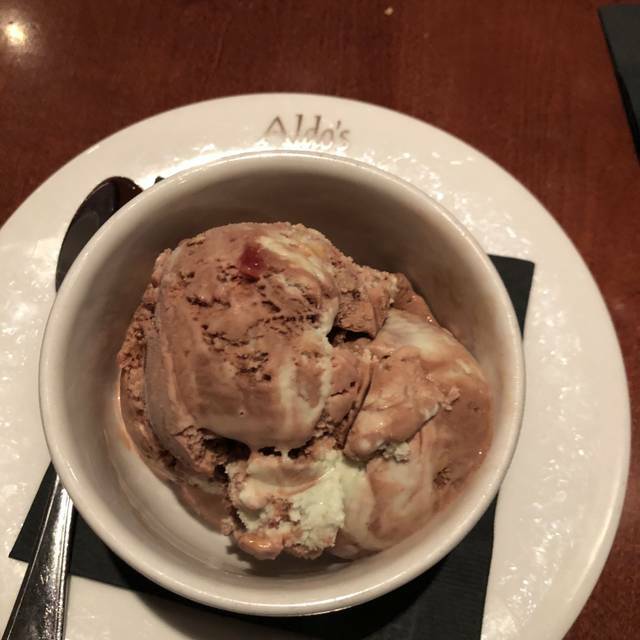 I have been to Aldo's for the past four years and they never cease to impress with their professionalism, excellent food, and good atmosphere. The servers are attentive, polite and the food comes out perfect every time and without too long of a wait. 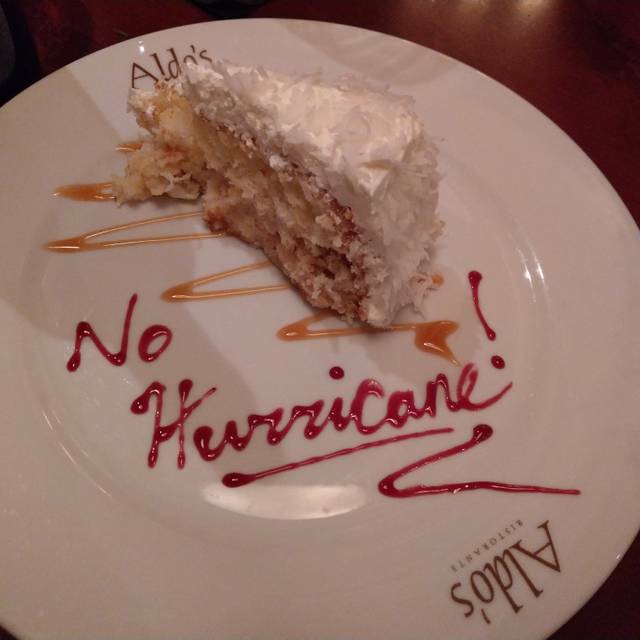 When my family came in from out of town, I knew Aldo's would not disappoint! 5 stars! 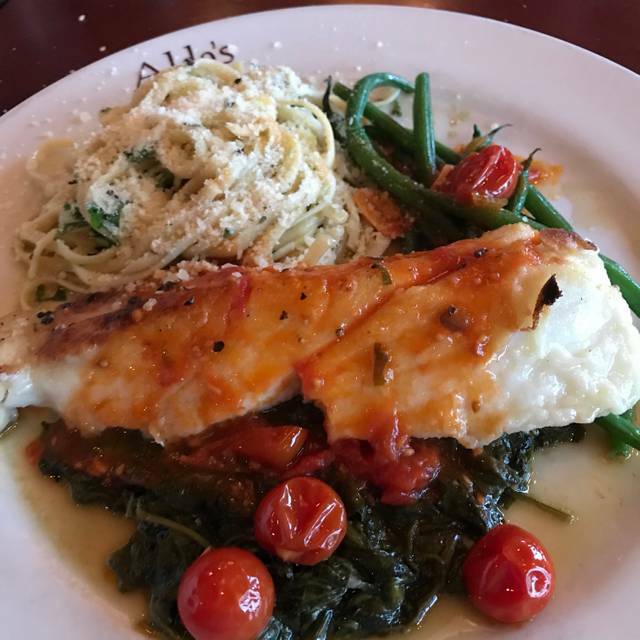 Always a top-notch experience at Aldo’s. Food is consistently excellent as is the service from the professional staff. One of the great things they do is accommodate substitutions and modifications. They want you to be happy and they go out of their way to make that happen. The wine list is extensive and offers various price points. IMHO, one of the best restaurants in Va Beach and my personal favorite. Truly delicious dinner with out of town guests, one of whom is hard to please. A great time was had by all and of course we had to clean up what little sauce remained on our plates with their delicious flatbread. They seem to genuinely care about their customers’ satisfaction. Our waiter was very knowledgeable and consultative. The piano player was amazing. The manager came to address the table as well. First class experience. Focaccia was great. My serving of the 6 cheese tortellini was a little small, compared to my mom's chicken & sausage rigatoni & my husband's lobster with spinach dish. My beer salad was just okay. Tried Aldo’s without knowing much about it. We were in town for a weekend and wanted to find a place off the beach. . Very pleasantly surprised at the decor and ambiance. Clearly many locals dining there. Trevor was an excellent server. Attentive, sharp, friendly and competent. Food was excellent, creative, and well presented. Standard fare plus som excellent creations by the chef. Recommended! Large menu, fantastic food prepared lovingly, excellent wait staff service, and finally what my German friends call Gemuetlichkeit. Loved the whole experience!! 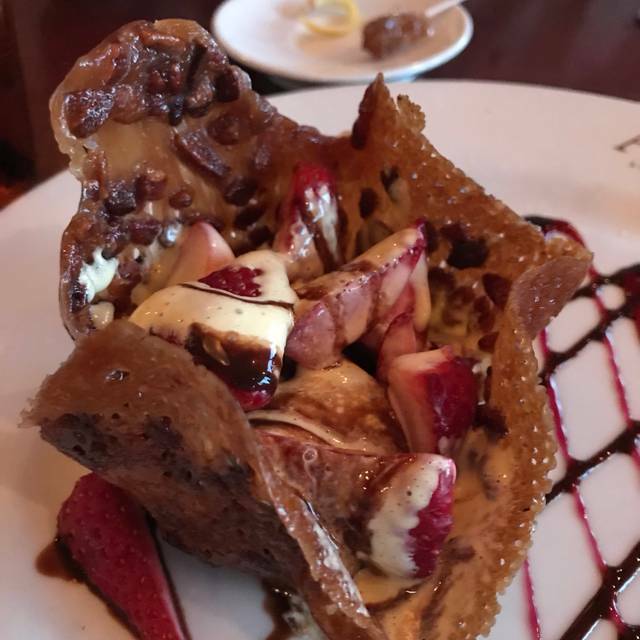 The service was impeccable and the food was beyond delicious! Our server was very welcoming and took care of every need we had! I definitely suggest this restaurant! We love Aldo’s. Always excellent food and service. A local favorite! I ordered penne pasta with marinara sauce with chicken. When I received my plate, it was mostly sauce with a couple noodles in it. 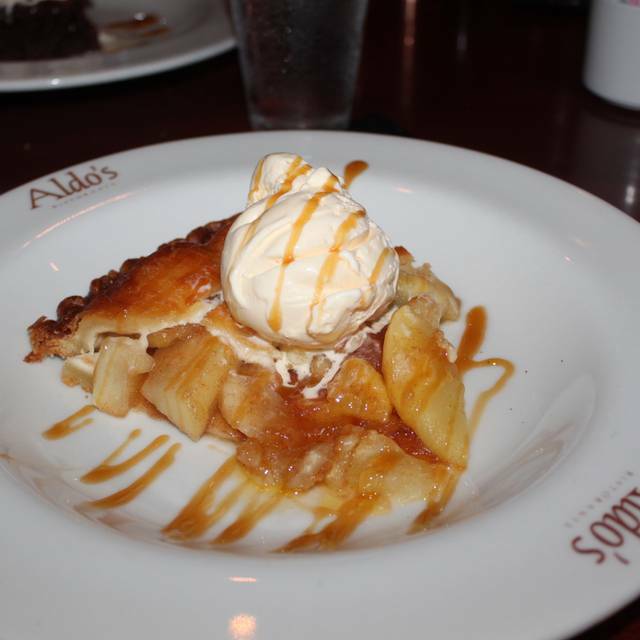 Aldo’s has consistently been, in my opinion, the best restaurant in Virginia Beach. Great food and exceptional service has been provided for over 20 years! This restaurant has become more of a disappointment as we go thru the years. Their service has gone down big time and they have dropped bringing bread to the table automatically, now you have to ask for it. ...not a good choice despite their reasons. The old ways of service were far better as they had 'class' with their serving, now most of the servers look untidy and some of their clothing is downright dirty! You used to be my #1 choice but not anymore, I will not choose to return. A nice experience. The food was presented very nicely and cooked to perfection. The staff are professional and there to serve you. Best restaurant in Hampton Roads! Best food, best wait staff. 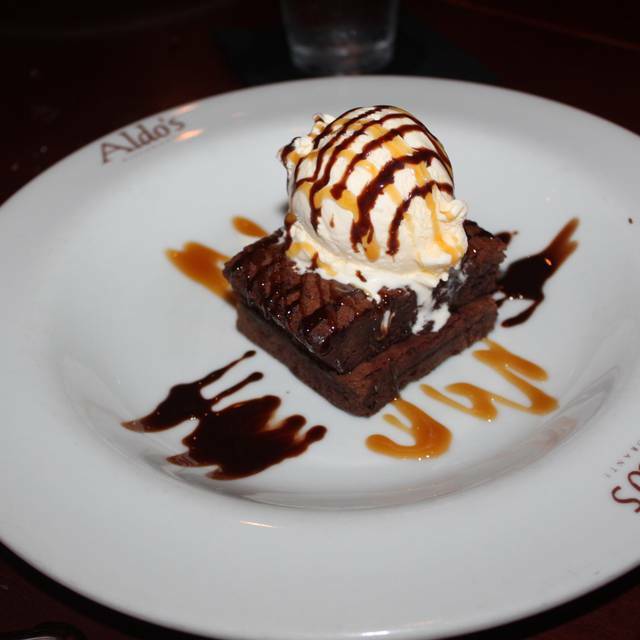 Aldo’s is a go-to for our business lunches. Rob, Mike and their entire team always go above and beyond to take care of us. Wonderful food, an outstanding wine selection and exceptional service are a given any time you walk through their doors. Highly recommend. Our server, Trevor, was awesome! We look forward to going again, soon. I have been going to Aldo's for many years, over 35 years? I grew up at the beach. And the food is always good,and the service staff is some of the most professional in the industry, and I have lived in DC, Miami and NYC. However this last visit, was for my father's birthday dinner, he is 75+ ...we asked for a table away from the bar, a booth , some private... we were seated in a booth right at the entrance, as guests arrived, they were standing table side, loudly talking, greeting each other .... as they waited to be seated..same kind of thing happened as guests departed. There is nothing wrong with this, it is what you do when you arrive at a restaurant for dinner on a Saturday night. However, it was not pleasant for us, and we could barely hear each other talk...not to mention the waiter who was trying to speak to us over the noise. I think the solution, is to install a frosted glass panel to provide some privacy for these tables... Aldo's is still a go to place, always good, and we will continue to frequent it. Until these tables are provided a little privacy though, we will attempt to avoid them, sit elsewhere in one of our beach favorites ! Calamari was excellent. We always have it every time we visit. The fish is a bit tasteless and lacks of seasoning.chris is always been doing excellent service. We will come back again. Son’s return from deployment from Middle East. Go Navy! Beat Army. Food was great, service outstanding! We'll definitely be back our next trip to VA Beach. Once again, the service was superior and the food was outstanding. Now, if they could acquire some appealing noise baffles without raising the prices again, that would be the icing on the cake as it were. This is the best place in Va Beach to meet with family and friends for dinner. Always excellent! 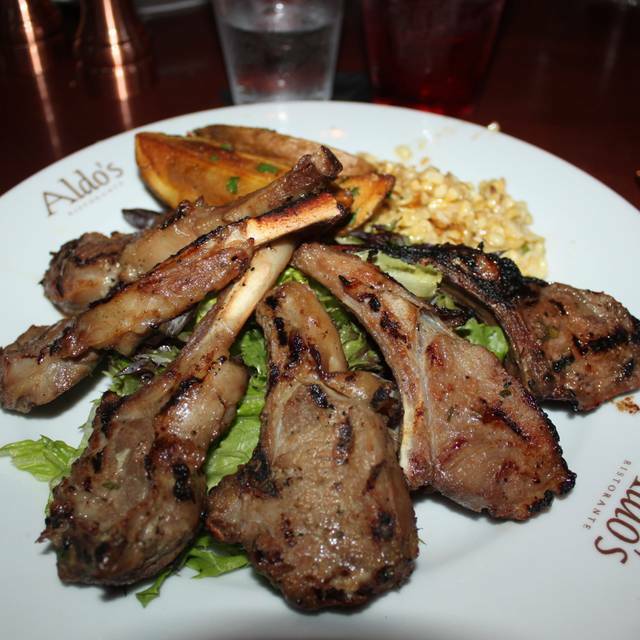 Aldos is a local favorite that never disappoints - the lamp chops are fantastic!! My husband and I celebrated our 39th anniversary here and could not have made a better choice. We were treated like old friends and the food was delicious-best filet I have ever eaten anywhere. The dessert presentation commemorated our anniversary and was just beautiful. A wonderful anniversary experience. Amazing every time. Visited last week and same great food and experience as always. Our server Dylan took good care of us despite us being a late table. Highly recommend!!! The filet special was wonderful and perfectly cooked. The shrimp Gorgonzola, my personal favorite was on point as usual. The service was gracious. Our server really knew the food and wine. She was attentive but not intrusive. The focaccia was just so-so. The entree was delicious and the shared creme brûlée perfect. Amazing food plus there’s a pianist that plays wonderful tunes while you dine. Our waiter was a professional, he absolutely knows his craft. Very knowledgeable with the menu, answered all questions we had. Very accommodating to our littles as well. My wife's meal(pan seared lobster tail)was delicious, however my shrimp gorgonzola was ok. It just lacked the flavor I was looking for in the gorgonzola. We also felt a little rush. In and out party of 6 in about an a hour. Not sure if that's a good thing or bad. In all, a decent dining experience. Been going there for nearly 30 years. Always good. Outstanding service, wine and food were excellent. From the moment we stepped in the door till we left we were treated exceptionally well. The Maitre D’ greeted us and showed us to our seats. Our waiter was very friendly, informative, and efficient. We had a bottle of wine, appetizers, and entrees. Everything was well presented at the perfect temperature, absolutely delicious! Thank you for a wonderful evening. The service was great! The place was beautiful and the food was delicious! Definitely recommend! Everything was very good. Our family enjoyed it very much. Made reservations to celebrate our 17th wedding anniversary. The experience was awesome, from the time we walked in the door until we left. What made the experience more special was our table close to the piano man. Our server was very attentive and always checked on us and not in an annoying way. The food was great. Lollipop lamb chops are must to try. The only thing my husband and I didnt care for was the calamari. Will definitely visit again.